On June 28, the Joint Institute received a wonderful gift from Mr. Jackson Lum (林積順) and his wife, Muriel Lum (趙妙霞), who have donated $1,000,000 to the University of Michigan and established the Jackson and Muriel Lum Endowed Scholarship Fund to benefit the Joint Institute. The main purpose of the endowment is to generate annual funds to provide scholarships for JI dual-degree students with financial needs to complete their study at the University of Michigan. 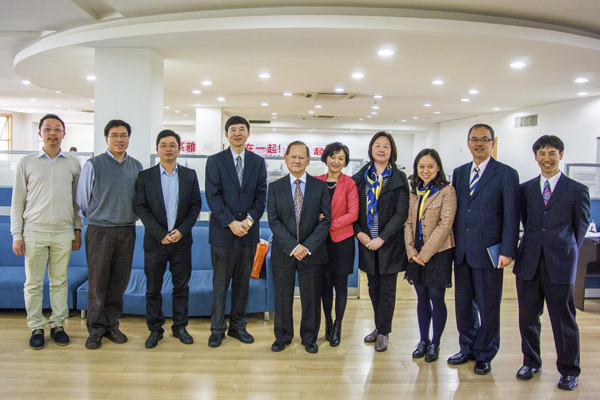 Mr. Lum paid a visit to JI on March 26, 2014. He has learned about JI by talking with the administration, faculty, and students. He is deeply impressed by JI’s student-oriented ideal of “Engineering global leaders through building a world-class international research institute” as well as JI’s extraordinary achievements. Mr. Lum sees China’s bright future in JI students’ passion and aspirations. 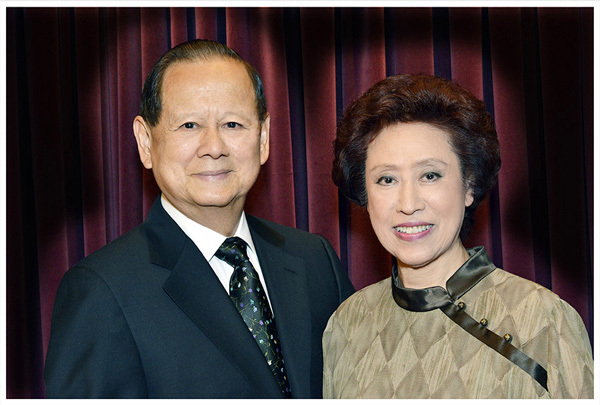 Mr. and Mrs. Lum hope the scholarship will help JI students fulfill their dream of “Serving China and changing the world.” The generous gift is especially meaningful as it was established on the couple’s golden wedding anniversary. The scholarship targets JI undergraduates who plan to pursue dual degrees at the University of Michigan on their junior and senior years. The scholarship is need based and the couple wish to help as many students as possible by supplementing their UM tuitions and living expenses. The JI Scholarship Committee will determine the recipients; while the UM manages the scholarship fund. Next year, JI sophomores who will participate in the dual-degree program can start applying. Background information: Mr. Lum holds a Bachelor of Science degree in Electrical Engineering from Rensselaer Polytechnic Institute in Troy, New York and a Master’s degree in Electrical Engineering from Polytechnic Institute in Brooklyn. He is also licensed as a Professional Engineer. Mr. Lum and his wife, Muriel Lum, founded Logic Controls in 1982 which was a leading provider of Point of Sale (POS) system software products and PC-based peripherals. Mr. Lum holds 44 patents in display systems and products. They sold the Long Island-based company to Bematech in 2008.